Made in USA of supple, durable, mid-weight lambskin. Merino shearling collar and 100% wool lining, zip and snap front, welt pockets, snap cuffs. Professional leather clean. I've had this jacket for my second winter season now and I've very pleased with it overall. It's much warmer in cold winter weather than I thought it would be, The leather is buttery soft and the shearling collar gives it a rich look. The brown/black color combination gives it tremendous eye appeal as well. A bit on the pricey side but well worth it IMHO. 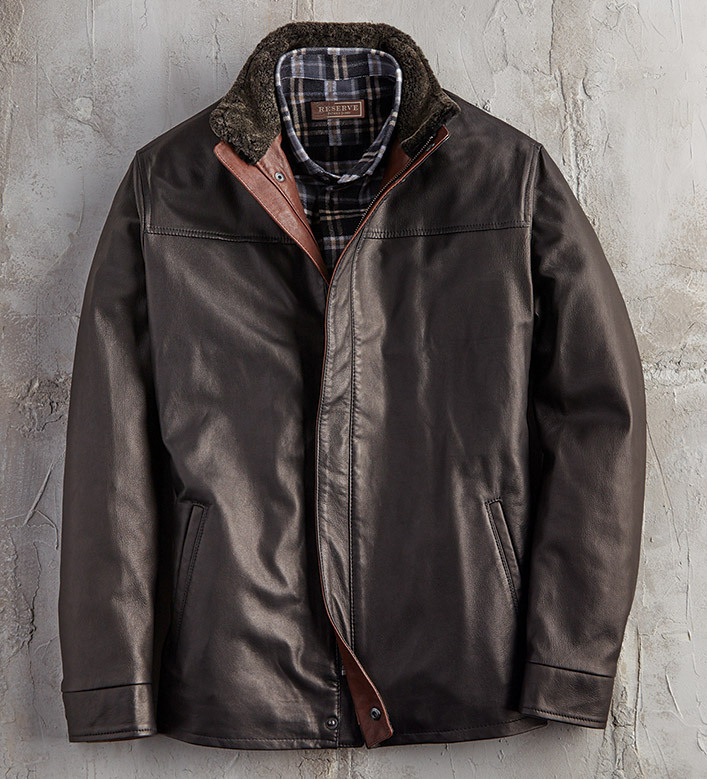 Highly recommended if you're looking for a classy leather winter jacket.